This quote reminded me of one of my favorite hymns. 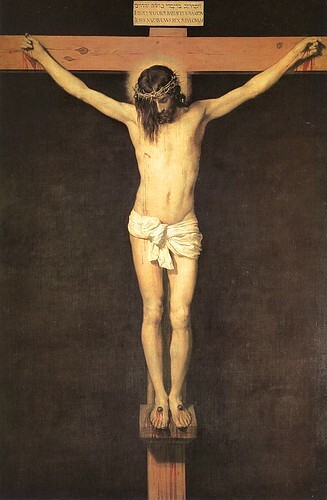 Written by Isaac Watts, When I Survey the Wondrous Cross is such a beautiful blend of scriptural references, imagery and personal pietism (and in this case I mean this in a good way) that I don’t think there will ever be a hymn to surpass it’s portrayal of the crucified Christ and our needed response. The lyrics of the hymn are reprinted below. It seems to me that the sentiments expressed in these two hymns are the perfect antidote to the selfish and self-centered attitudes of many people in today’s world. At least they are an antidote to these attitudes in me. Spend a few minutes contemplating these hymns and their message. And though I am no prosperity preacher, I am sure you will benefit greatly from such contemplation. * Initial quote originally published on Sun, 28 Jan 2007 10:46:14 GMT by David Hayward. Posted on January 31, 2007 November 12, 2014 by WPosted in Hymn, Isaac Watts, Jesus, The CrossTagged Now Wounded, O Scared Head, the cross, When I Survey the Wondrous Cross. Hey! Thanks so much for the link and mention. Blessings on you! Good post you’ve written here.